I'll be upfront. This post is going to be short and if anything, more of an excuse for me to let out my insane frustration of cult film Motel Hell. You can probably tell, I did not like it. Released in 1980, Motel Hell has gained somewhat of a cult following. 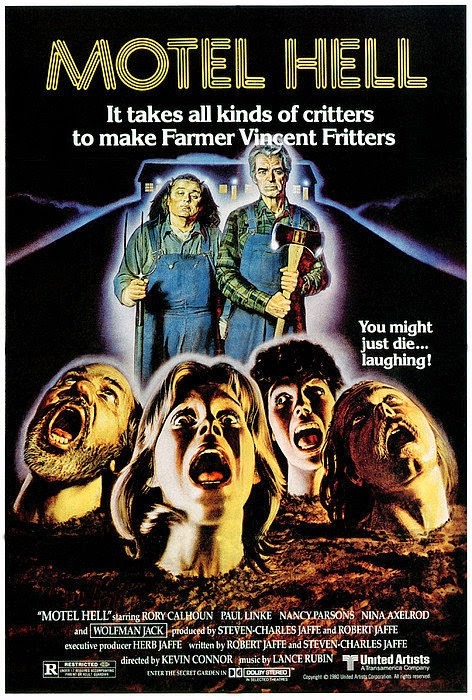 It's been mentioned in lots of "Best Of" horror lists and if you haven't seen it, you've surely seen the poster, vhs tape floating around on the internet somewhere, or you've heard of some of the characters mentioned randomly like Farmer Vincent. I think part of what keeps Motel Hell in the horror community's conscious is in that it's never really gotten a full-throttle release on DVD before, at least not in the U.S. anyway. 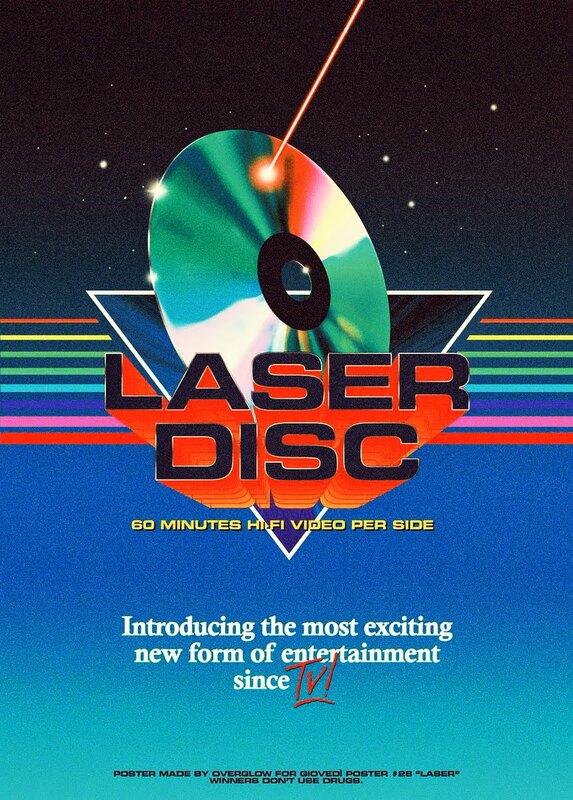 Despite it's cool looking MGM Big Box VHS and Laserdisc releases in the 80's, it's only ever been released in either a Double Feature or Triple Feature horror DVD compilation. That is until Scream Factory releases their Blu-ray this coming August. So automatically it's been registered as somewhat of a "cult" film. Or rather, one of those lost gems that never got the proper release it deserved. It was apparent right from the beginning they were going for a tongue-in-cheek style humor/horror combo. You know, if it's done right, it works. Evil Dead 2 and Return of the Living Dead are prime examples. But where those films used that concept to great effect, Motel Hell fails miserably. I can tell that it was supposed to be a little playful and "supposed" to be a little funny, but it just doesn't work and instead comes off as boring, weird and amateur. It's so sad too because it starts off strong with some flashy killer credits that get you excited, only to leave you scratching your head after a few minutes wondering "I thought this was supposed to be a horror film?". Maybe the ending made up for the lackluster first half, but by 50 minutes in, I had no desire to finish it and find out. Whatever tone it was going for was somehow lost on me and all I could think was how dull, amateurish and weird it was. Am I alone in this?